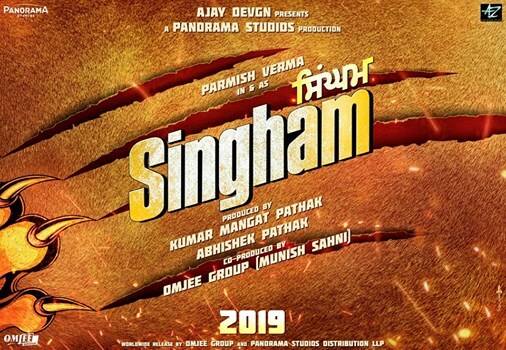 Ajay Devgn presents Punjab da sher Parmish Verma in & as Singham Punjabi movie which is releasing in 2019 and officially announced on Instagram by Bollywood Singham Ajay Devgn on his birthday. Yes, you heard it right! 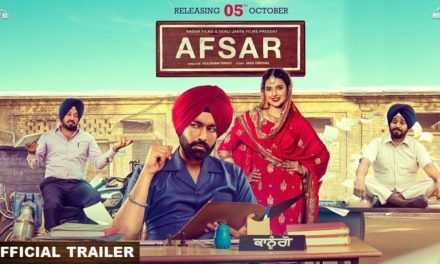 Known as Punjab Da Sher, Parmish Verma will soon be seen playing Ajay Devgn’s popular avatar ‘Singham.’ The Punjabi version of the movie will be released next year. The Bollywood superstar Ajay Devgn disclosed this news on the special occasion of his birthday. He took the micro blogging site to make this announcement and even posted the movie poster. We wish the actor, A very Happy Birthday and also thank you for this amazing news. Parmish Verma has already won the heart of people with his stunning looks and incredible singing. Undoubtedly, he will do full justice with his Punjabi Singham avatar. Parmish Verma will be playing Ajay Devgn’s character in Punjabi Version of Singham. 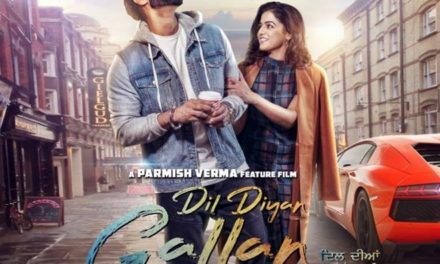 The Punjabi remake of the blockbuster movie Singhamwill be starring Parmish Verma, who recently won an award of the best debut for his last movie Rocky Mental. 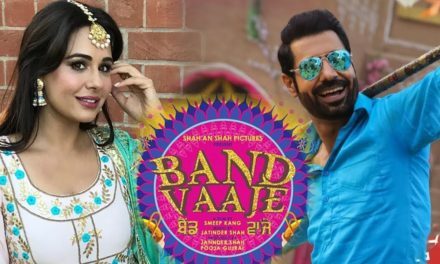 The movie will be produced by Kumar Mangat, Abhishek Pathak and Munish Sahni and supposed to be released in 2019. The actor received huge appreciation for his remarkable acting in his last movie named “Rocky Mental.’ Parmish even got an award for this movie. He is well-known for his amazing singing, acting talent and his words ‘Dhakk Champion’ in Gal Ni Kadni song has set a record in the Punjabi entertainment industry. And with this latest announcement, his fans must be getting even more excited to see him as a Punjabi Singham. He will surely fulfil thee expectation of his fans with his thrilling action moves in Punjabi remake of Singham. Yet, the title of the movie is yet to be announced for his upcoming movie. Rohit Shetty’s Bollywood film Singham starrer Ajay Devgn, who played a tough cop fight alone against corruption. The actor took his social media to reveal this good news on his birthday. Singham Punjabi movie first look poster out on Instagram. Guys, get ready to experience the amazing entertainment. I think you all must be eagerly waiting to see that who will be cast opposite the actor. So, stay tuned with us and we will keep you posted with the latest news and gossips. The movie is produced by Kumar Mangat Pathak, Abhishek Pathak and co-produced by OMJEE Group (Munish Sahni).